I like to make dishes out of chickpeas as they go well with rotis. 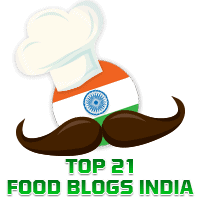 In this blog, you will find recipes for Kadhai Chole, and Pindi Chole. I was delighted to come across this dish made of chickpeas, cooked with spices, spinach and fenugreek leaves. This is from the Thermalchu blog, from where I have adapted this recipe for Saag Chole . It is a very nutritious dish with the inclusion of greens cooked with chickpeas. We enjoyed having this with rotis. Wash and soak the chickpeas for 8-10 hours or overnight. Now add the cooked chickpeas, chopped palak and methi leaves and a little stock of the cooked chickpeas. Mix well. Garnish with chopped coriander leaves, and serve hot with rotis.